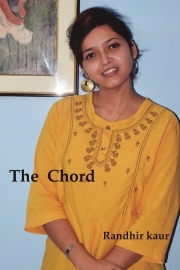 The Chord is a book of emotions where Randhir kaurb has beautifully written things which we all face during a heartbreak and a sad life. Kaur has dedicated this book to her close friend who never left her side during the hard times. She believes that she write the words of her pal because she gifted Kaur every support to shine bright. Randhir Kaur lighted the candles on 9th February 1997. She is born and brought up in India, Assam(Jorhat) city. She persuaded her schooling from St.Carmel Convent school and acquired her further education in Bachelor of Arts in English Literature. A writer by birth and a blogger.According to her, she writes to tell stories. She believes that there are some professions in the world that will last forever: doctor or a nurse, teacher, builder and a storyteller. Kaur writes also to become herself, more so day by day. Writing is a way to shape out visible and invisible, in herself as well as in the world. The young girl believes in changing a mind because she is facing the ruthful state of being treated vulnerable from a toddler to a feminine, just like the lemon juice astringes the tissue in the mouth similarly her throat is constricted because she is not actually her own version but a flunkey and an artifact. Her courteous manner shines despite remaining very dark from the inside, she is shining brighter day by day and the remorseful acts are making her a strong body. She is a warrior, a princess, a Kaur.